We issue a voucher that the recipient can redeem at their convenience anytime within 12 months of purchase. A trial lesson starts with a short briefing from one of our friendly instructors. The first part of the flight is with a aerotow launch to around 200’ - an unforgettably thrilling experience. From there, the flight continues at more relaxed pace, floating over the beautiful Cotswolds landscape. Depending on the conditions a trial lesson lasts around 15-20 minutes. Read more. 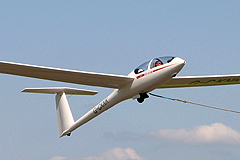 One day courses offer a full day's flying and are an excellent introduction to all aspects of gliding. The course starts with a 30 minute briefing. Thereafter the emphasis is on doing as much flying as possible. 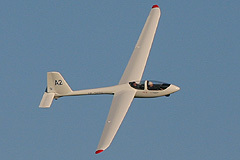 By the end of the course the pupil will have learnt how to control the glider and will be doing most of the flying. Read more.